cub is a band: What ever happened to ... cub drummer Lisa G? After laying down the beats for some rock and roll history, Lisa G has gone on to an award-winning career in film. She touched a lot of lives with music, but she's touched many more through another art form. 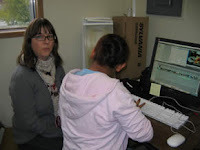 Lisa has worked with the National Film Board as a Technical Director/Mentor Editor for digital storytelling initiatives with kids, seniors, street youth, poet and remote first nation communities. 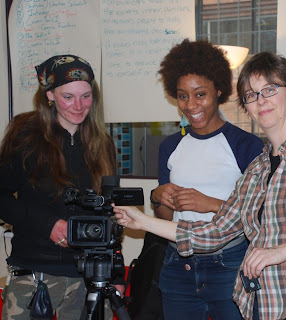 Lisa is currently working on a trilogy of films about Riverview, a mental institution in Coquitlam, British Columbia. Way to go! Kudos to Lisa G for breaking through every single stereotype about drummers. Congratulations and all the best for the future.